Release Date: MARCH 29, 2019 - Relive the American Revolution or experience it for the first time in Assassin's Creed® III Remastered, with enhanced graphics and improved gameplay mechanics. 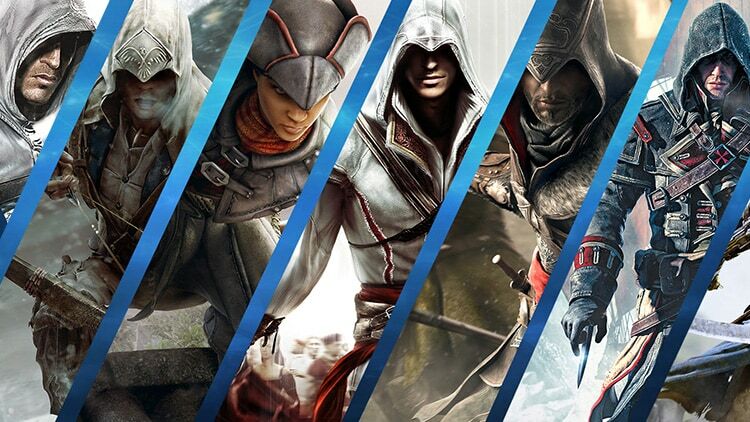 Plus, Assassin's Creed Liberation Remastered and all solo DLC content are included. 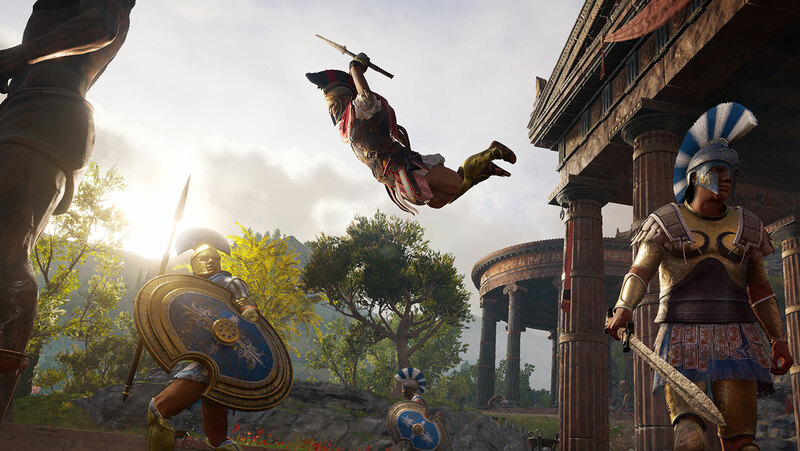 Release Date: OCTOBER 5, 2018 - Write your own epic odyssey and become a legendary Spartan hero in Assassin's Creed® Odyssey, an inspiring adventure where you must forge your destiny and define your own path in a world on the brink of tearing itself apart. Influence how history unfolds as you experience a rich and ever-changing world shaped by your decisions. 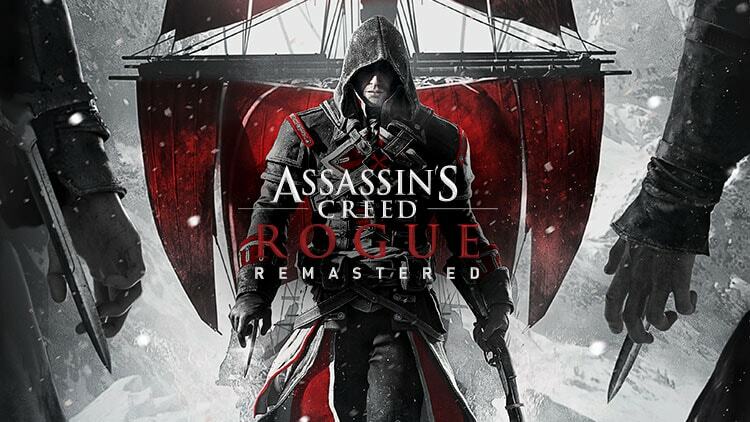 Release Date: MARCH 20, 2018 - The darkest chapter of the Assassin’s Creed® franchise, Assassin’s Creed® Rogue has been remastered for Xbox One and PlayStation®4 system, now featuring 4K resolution on Xbox One X and PlayStation®4 Pro (1080p on Xbox One and PS4™ system), high-resolution textures, and improved shadows and lighting in addition to several other graphical enhancements. 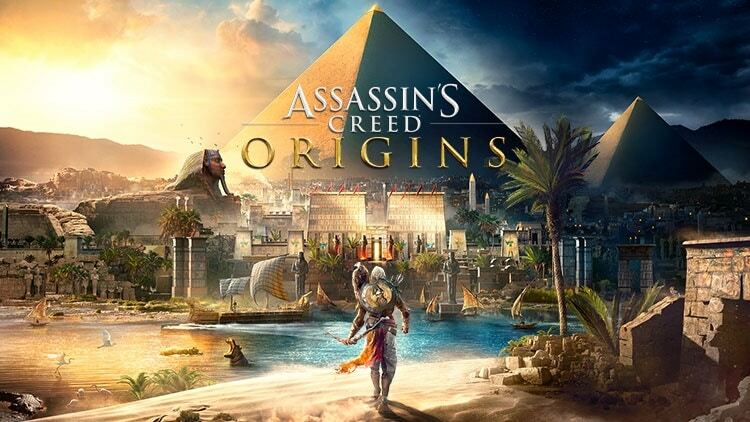 Release Date: OCTOBER 27, 2017 - Assassin’s Creed® Origins uncovers the beginning of the Brotherhood. Fight in epic battles, master a completely reinvented combat system, and explore the entirety of Egypt. With the all-new quest system, complete missions in any order you choose, and follow your own path to greatness. 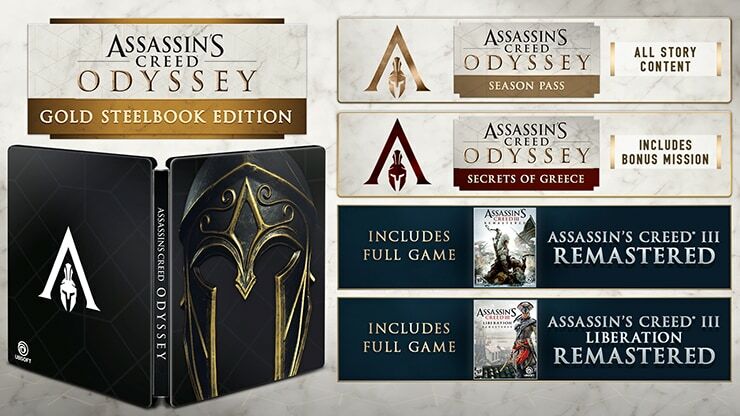 Release Date: NOVEMBER 15, 2016 - Make history as the legendary Master Assassin, Ezio Auditore da Firenze, in Assassin’s Creed® The Ezio Collection, which includes the acclaimed single-player campaigns and single-player add-on content* from Assassin’s Creed® II, Assassin’s Creed® Brotherhood, and Assassin’s Creed® Revelations with enhanced graphics for Xbox One and PlayStation®4 system. 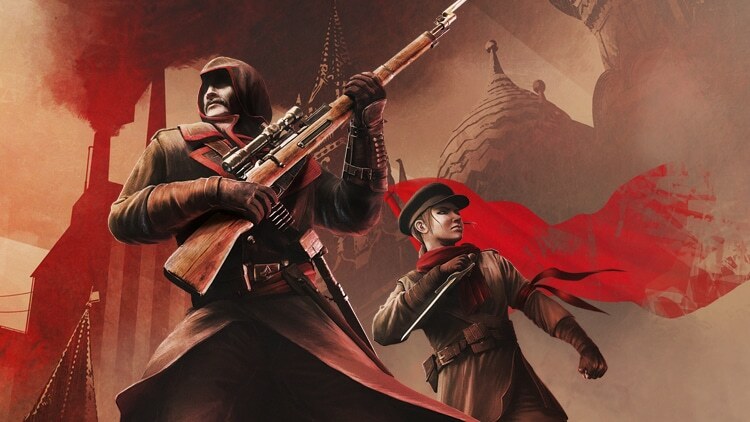 Release Date: FEBRUARY 9, 2016 - In Assassin’s Creed® Chronicles: Russia, join Nikolaï Orelov in his search for redemption as you journey through an iconic, propaganda art style Russia in 2.5D gameplay. Survive the aftermath of October Revolution and experience the thrill of being a stealthy Assassin in an exclusive modern setting. 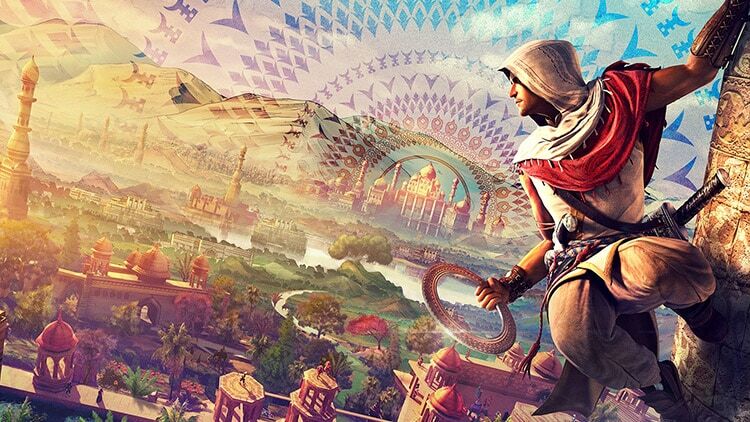 Release Date: JANUARY 12, 2016 - In Assassin’s Creed® Chronicles: India, embody Arbaaz in his quest for retribution through a colourful depiction of 19th century Colonial India in 2.5D stealth gameplay. Zip-line across the streets of Amritsar, hide in the shadows of the palace, and hunt legendary artifacts, following in the footsteps of Alexander the Great. 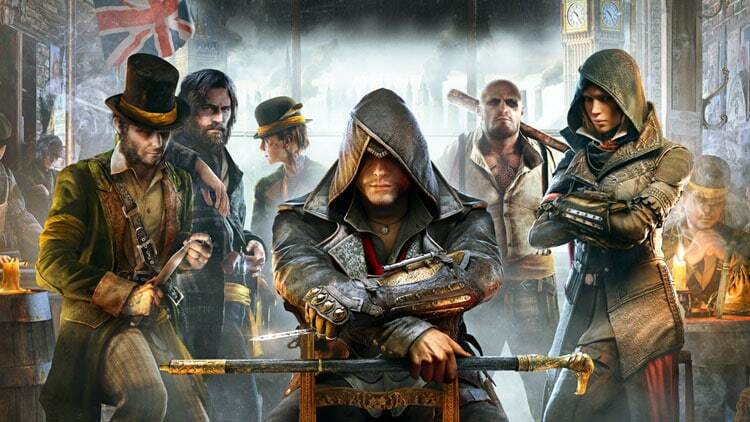 Release Date: OCTOBER 23, 2015 - In Assassin's Creed® Syndicate, as the brash, rebellious Jacob Frye, put up your dukes and take enemies on with lightning-fast multikills and countermoves. Use improved stealth tactics to elude your enemies and unleash your arsenal of weapons, including the kukri knife, brass knuckles, and sword cane. Utilize new technology like the rope launcher to scale buildings in seconds and take your enemies by surprise. 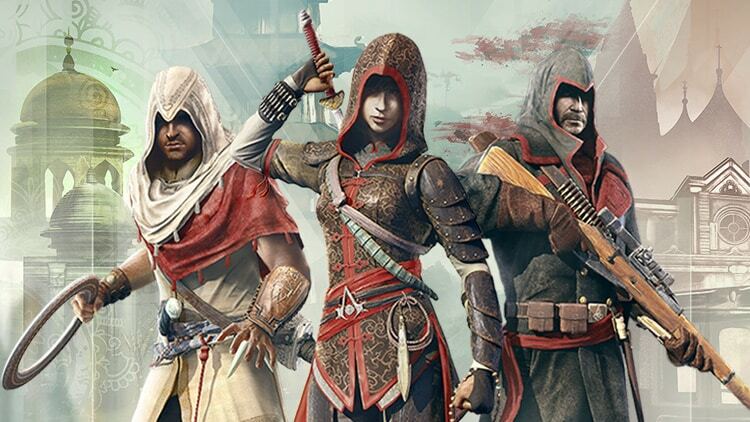 Release Date: APRIL 21, 2015 - The Assassin’s Creed Chronicles saga begins in China, 1526, as the Ming dynasty starts to crumble. You embody Shao Jun, the last remaining Assassin of the Chinese Brotherhood, returning to her homeland with a vendetta. Newly trained by the legendary Ezio Auditore, she is hell-bent to exact vengeance and restore her fallen brotherhood. 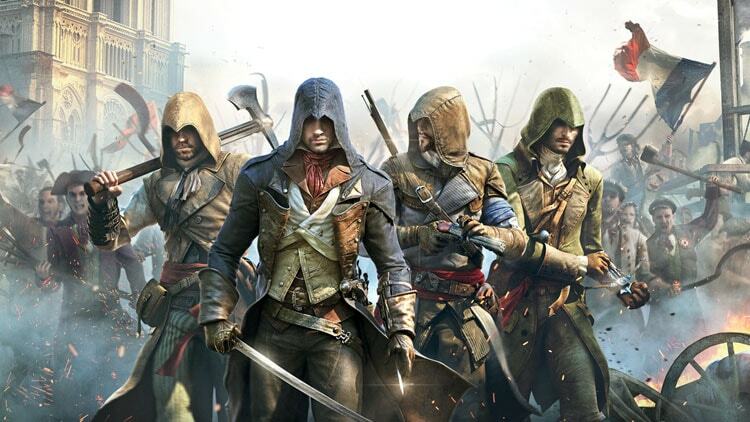 Release date: NOVEMBER 11, 2014 - In Assassin’s Creed® Unity, play as Arno through the storming of the Bastille to the execution of King Louis XVI, experience the French Revolution as never before – and help the people of France carve an entirely new destiny. 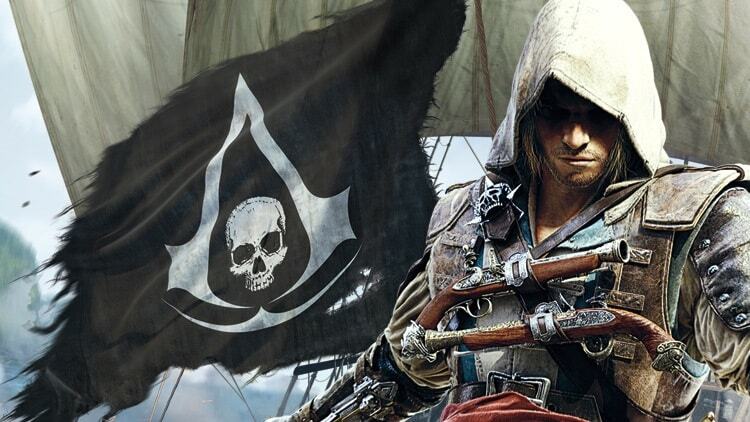 Release Date: NOVEMBER 19, 2013 - In Assassin’s Creed® IV Black Flag™, play as young captain Edward Kenway, standing among legendary pirates such as Blackbeard, Calico Jack and Benjamin Hornigold, as you establish a lawless republic in the Bahamas and relive the truly explosive events that defined the Golden Age of Pirates. 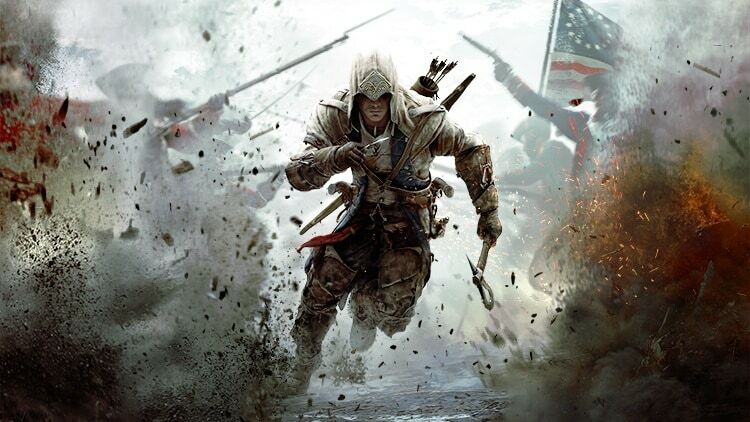 Release date: OCTOBER 30, 2012 - Assassin’s Creed® III takes you back to the American Revolutionary War, but not the one you’ve read about in history books... The American Colonies, 1775. It’s a time of civil unrest and political upheaval in the Americas. As a Native American assassin fights to protect his land and his people, he will ignite the flames of a young nation’s revolution. 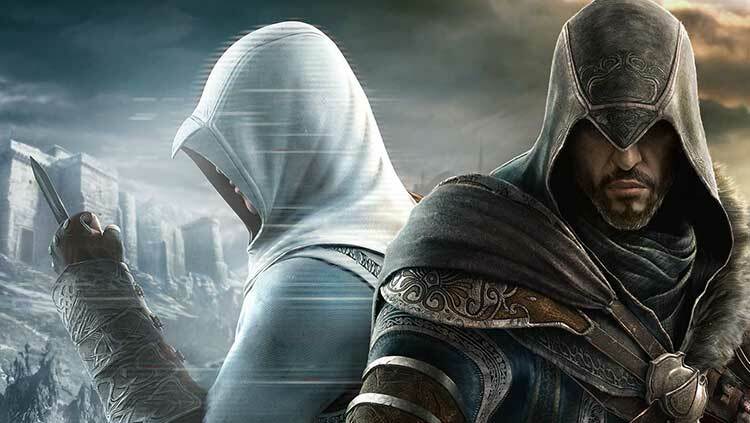 Release Date: NOVEMBER 29, 2011 - In Assassin’s Creed® Revelations, master assassin Ezio Auditore walks in the footsteps of the legendary mentor Altair, on a journey of discovery and revelation. It is a perilous path – one that will take Ezio to Constantinople, the heart of the Ottoman Empire, where a growing army of Templars threatens to destabilize the region. 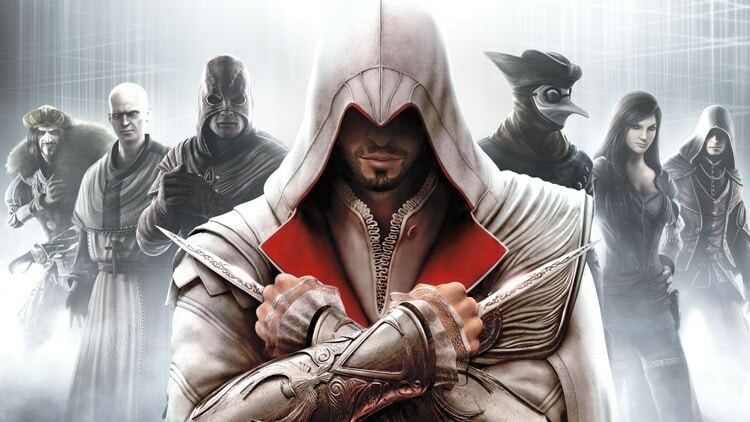 Release Date: March 22, 2011 - In Assassin’s Creed® Brotherhood, live and breathe as Ezio, a legendary Master Assassin, in his enduring struggle against the powerful Templar Order. He must journey into Italy’s greatest city, Rome, center of power, greed and corruption to strike at the heart of the enemy. 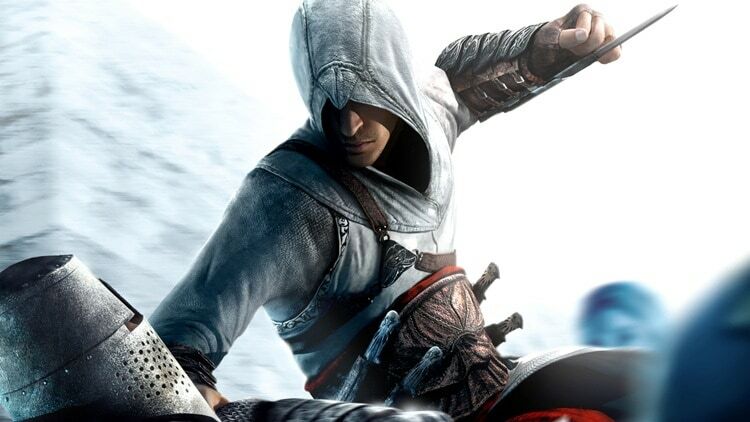 Release Date: NOVEMBER 17, 2009 - Assassin’s Creed® 2 is the follow-up to the title that became the fastest-selling new IP in video game history. 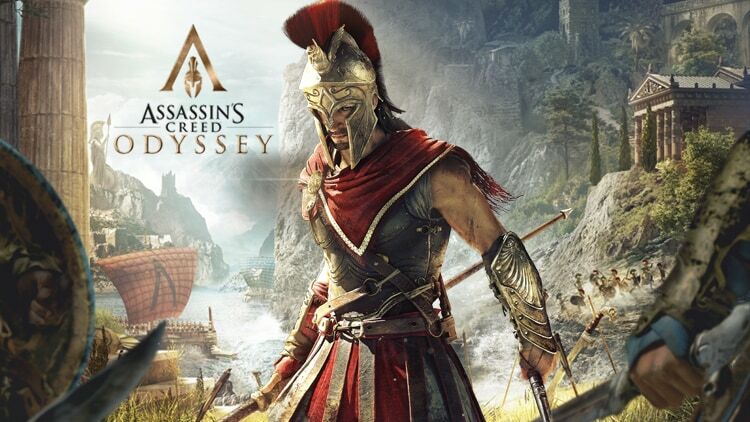 The highly anticipated title features a new hero, Ezio Auditore da Firenze, a young Italian noble, and a new era, the Renaissance. 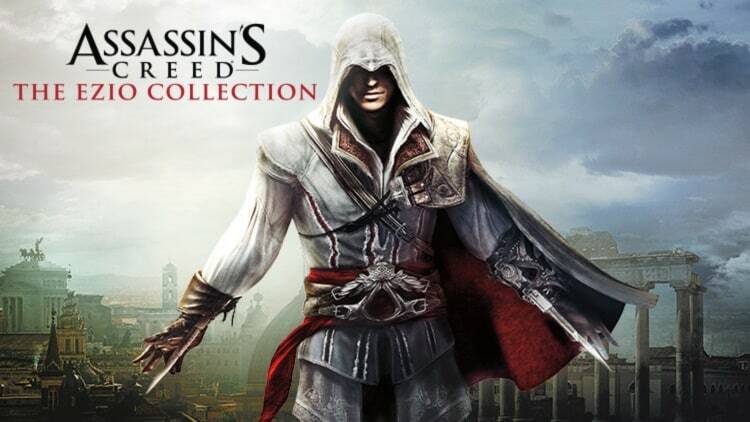 Release Date: November 13, 2007 - Assassin's Creed™ redefined the action genre. The setting is 1191 AD. The Third Crusade is tearing the Holy Land apart. 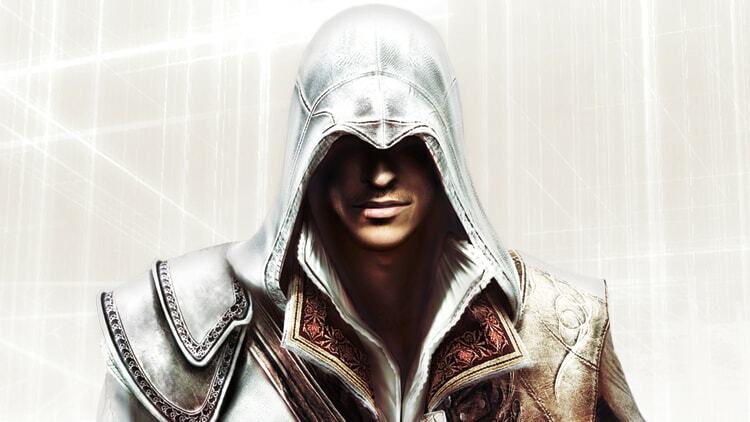 You, Altair, intend to stop the hostilities by suppressing both sides of the conflict. You are an Assassin, a warrior shrouded in secrecy and feared for your ruthlessness.